COMPATIBILITY - Compatible with Samsung Galaxy S8 /S8 Plus with precision cutouts for all buttons and ports. Fits most cables. Perfect fit to most tempered glass protectors. MAXIMUM PROTECTION, MINIMUM SIZE - a hybrid construction built from hard and soft Polycarbonate that offers extreme drop protection up to at least 11 feet. Raised lip and lift back preventing cellular device including camera lens from surfaces. Only 0.11 inch thick. Marriage of protection and aesthetic. CrashGuard case for Samsung Galaxy S8 will protect your phone from everyday knocks and drops to at least 11 feet while still looking stylish and minimalistic. CrashGuard is a hybrid case built from hard and soft polycarbonate. Our unique polycarbonate material, unlike commonly used TPU, offers excellent drop protection by absorbing shock. The soft inner shell uses our ShockSpread technology with the honeycomb structure to enhance the drop protection by suspending the phone from any surface. 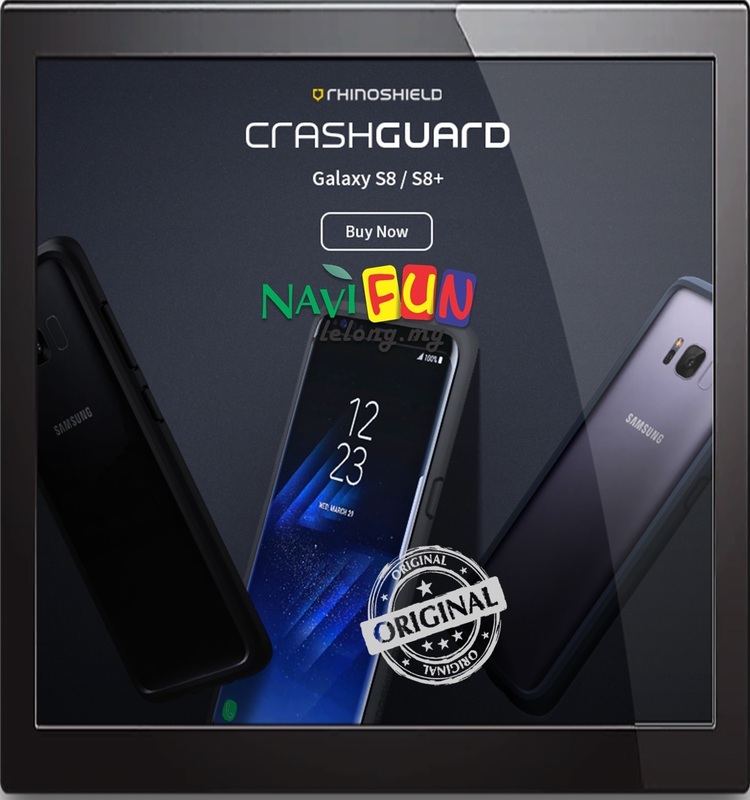 RhinoShield CrashGuard has a matte finish which enhances the grip on your device. This finishing also serves to make the cover more durable, as it is harder to scratch. We have devoted great effort to push the technical limits in order to keep the thickness of the case under 0.11 inch which is the first of its kind in the rugged bumper case market. This makes the case sleek, strong and durable. The ports are compatible with most headphones and third party charging accessories. We also make sure all buttons are fully functional and accessible with sturdiness to avoid accidental press. The case weighs less than half an ounce which is much lighter than most rugged cases. We want to provide maximum protection at minimum weight, so that the cases are fully capable of providing full impact protection.